Dahlia Mogahed is currently the executive director of the Gallup Center for Muslim Studies that also includes Georgetown University academic Dr. John Esposito and she also co-authored a book with Dr. Esposito. As noted above, a post from yesterday reported that DHS had relied upon Dr. Esposito for advice on law enforcement counterterrorism training and that post details Esposito’s close ties to the Global Muslim Brotherhood and to Saudi Arabia. Ms. Mogahed was born in Egypt and lived in the U.S. since the age of 5. She is the daughter of Elsayed Mogahed, an Egyptian immigrant who is a former engineering scientist at the University of Wisconsin and director of the Islamic Center of Madison (ICM). The website of the ICM links mainly to U.S. Muslim Brotherhood organizations and Souheil Ghannouchi, the President of the Muslim American Society (MAS), close to the Egyptian Brotherhood, was ICM Imam and President for several years. In 2003, Ms. Mogahed was identified in 2003 as the Outreach Coordinator for the Islamic Center of Pittsburgh (ICP) whose co-founder lost a DOE security clearance and whose Imam was expected to be deported on immigration violations. Ms. Mogahed was appointed to the President’s Advisory Council on Faith-Based and Neighborhood Partnerships in April 2009. 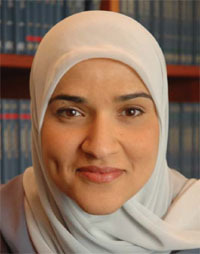 In June 2010, Ms. Mogahed was appointed head of a new center for social research and analysis in Abu Dhabi to be called the Abu Dhabi Gallup Center. The Investigative Project has published a report analyzing the support for US Muslim Brotherhood organizations and their positions provided by Ms. Mogahed. The U.S. government won a resounding court victory last Monday, convicting all the Palestinian HLF defendants on all “material support” charges leveled against them. Yet in the grand scheme of things, our government’s policy of denying our civil liberties and privacy at home while pursuing a cold war “containment” policy that often turns into a hot war for “regime change” has left thousands of Americans dead, tens of thousands maimed, trillions of taxpayer dollars squandered and our homeland more vulnerable than ever. A myopic view might wish to celebrate the HLF verdict, but the big picture clearly shows a continuing loss for America. 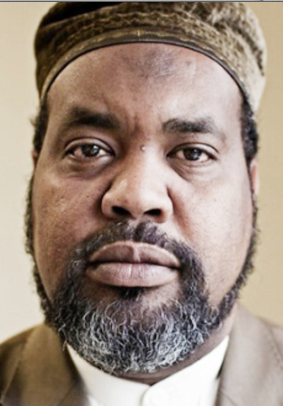 Mohamed Magid is the current President of the Islamic Society of North America (ISNA) and Executive Director of the All Dulles Area Muslim Society (ADAMS), both organizations part of the US Muslim Brotherhood. Imam Magid can be seen as the new more moderate face that ISNA has been cultivating of late and he has taken part in frequent interfaith events including visits to concentration camp sites in Europe. Nadia Roumani is the co-founder and director of the American Muslim Civic Leadership Institute (AMCLI) that describes itself as an organization that “develops and trains American Muslim leaders who are committed to civic engagement.” Of the 84 individuals that have participated in the AMCLI, there are a number who are associated with the US Muslim Brotherhood including Mohamed Elibiary. … discussions regarding how to improve local law enforcement crime reduction efforts should be delinked from the current academic and policy discussions on “radicalization” and “countering violent extremism” until such time that the understanding of these phenomena matures. 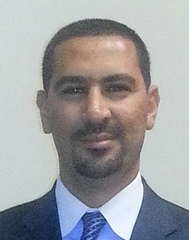 At the current time, DHS maintains a Faith-based Security and Communications Advisory Committee whose members as of May 2012 included Mohamed Magid, identified above as the ISNA President, and Ingrid Mattson, the former ISNA President.